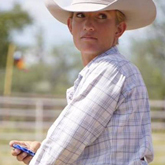 Katherine Calkins is the owner and head instructor at the J6 Ranch Equestrian Center in Benson, Arizona. Katherine’s initial Classical Dressage training was received from her mother, a certified BHS instructor and graduate of Porlock Vale. 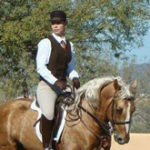 In her teenage years Katherine sought instruction across the country in competitive Dressage, colt starting, Paso Finos (and other gaited horses), over fences, Western, ranch riding, saddle seat, equine rehabilitation, equine bodywork, and endurance. 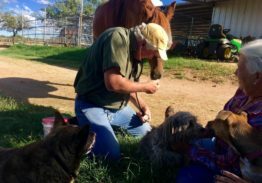 Through her 17 years of teaching and training experience she has sought the connection between all disciplines from Barrel Racing to Dressage, from the ground up. 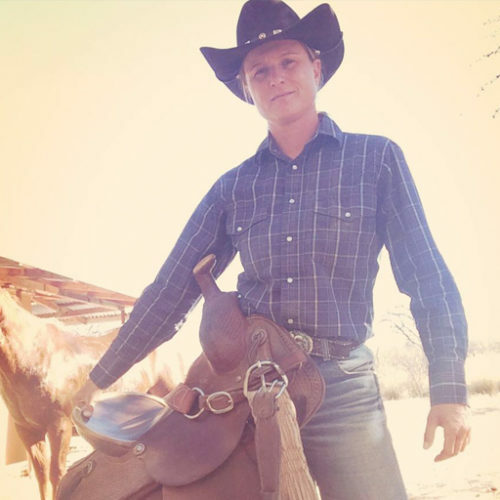 The connection she found is physics, and how the biomechanics of muscle, both equine and rider, combine to create a synchronized and seemingly effortless balance in motion. 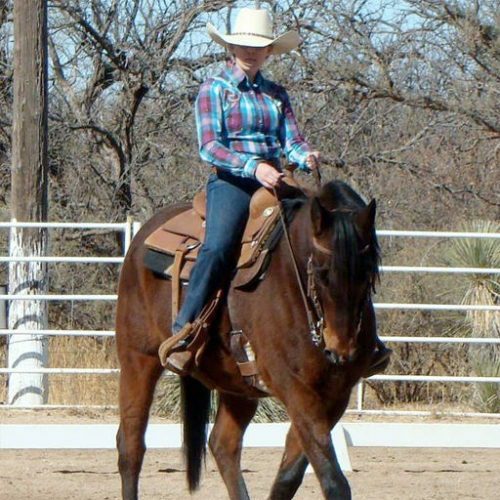 Katherine’s approach to riding is focused on setting achievable goals and tasks to help rider and horse become more aware of each other’s locomotive capabilities, more relaxed in increasingly difficult situations both on the ground and under saddle. 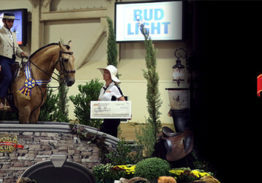 Riders are expected to accept their position not always as leader, but as coach and caretaker for both their horse’s and their own fitness and health. In Katherine’s philosophy there are no excuses and no mistakes, only new opportunities to learn new skills. Working Equitation, Dressage, Eventing, Combined Driving, and Biomechanics (which is not a discipline, although people act like it is..).